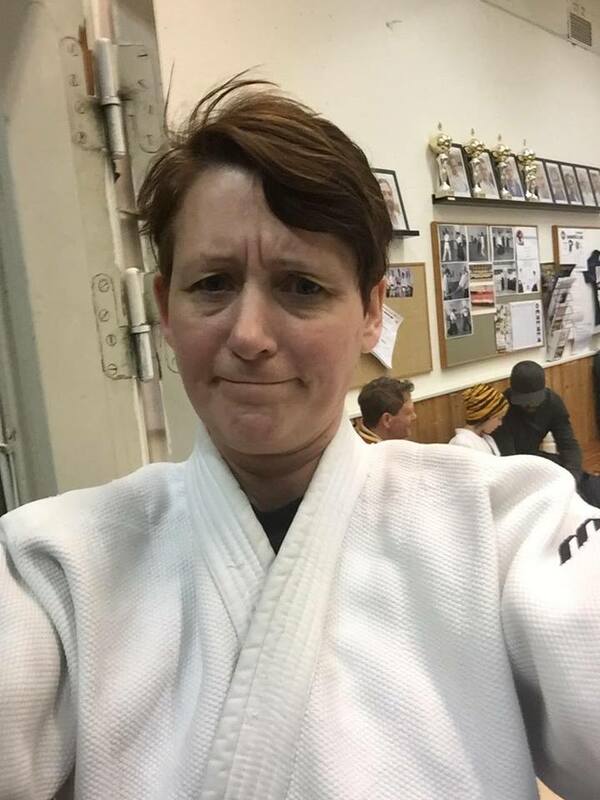 Here you’ll meet the judo parent Janet Mattsson from Stockholm,Sweden. The interest in judo she shares with her big beautiful family of seven children and her husband Niklas. 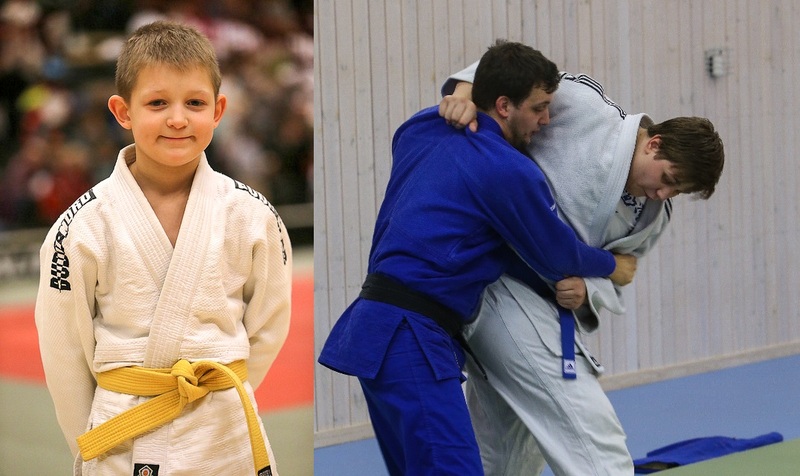 All of them are now active members in Stockholm Judo Club. 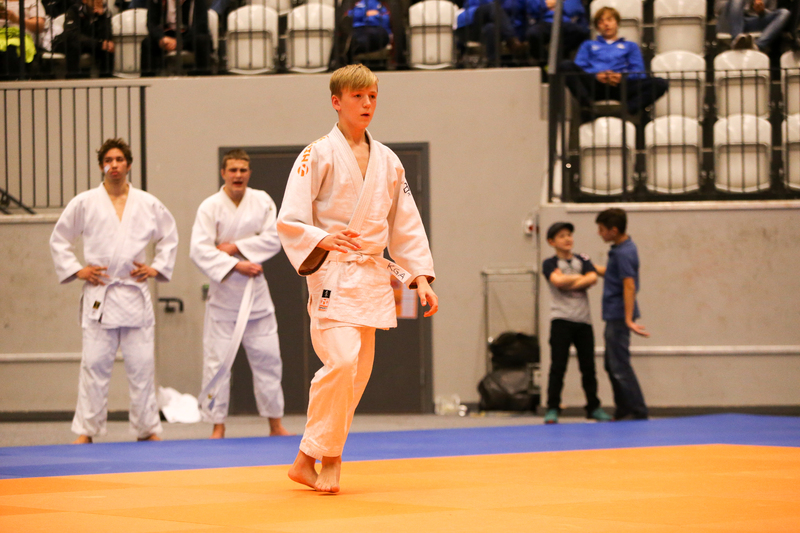 Here you will read about how Janet looks on points of judo from a parent’s perspective, but will also answer the question that everyone is asking: – How does their judo-family function in everyday practice? It’s a pretty common question I face when it dawns on people that we, quite a large family, sharing an interest in judo. Especially when they realize that none of us parents ourselves had been practicing judo first, before the kids started. Everyone in the family has their own relationship to judo, all but one is practicing judo actively one or more times a week, some of us several times a day in periods. 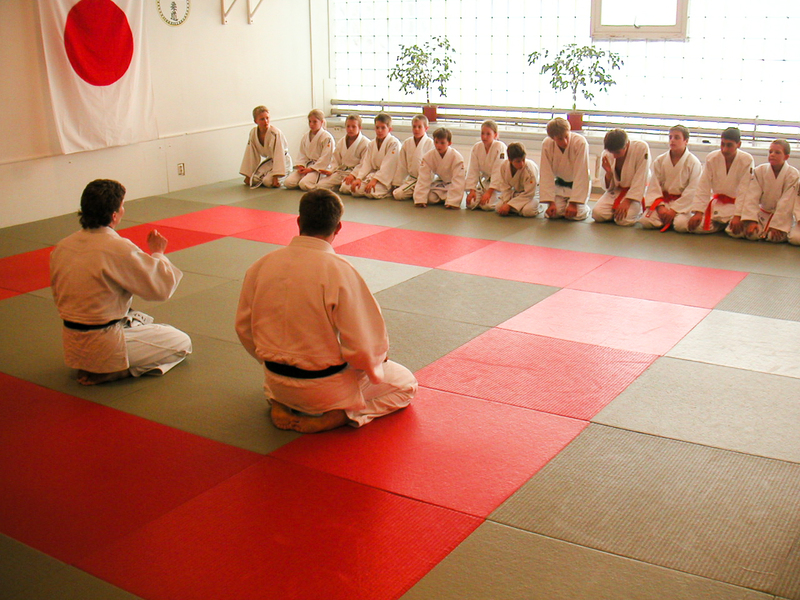 The of us who are not active on the mat specifically is active in Stockholm judo club in other ways. Judo has always been one of the family cohesive forces, year after year. We share the interest of judo, for training, for competition, for the continuous improvement and to constantly compare themselves with improvements. But how did it began then? Well, our eldest son Olle went with his best friend to kids training int Huddinge in the late 90s. 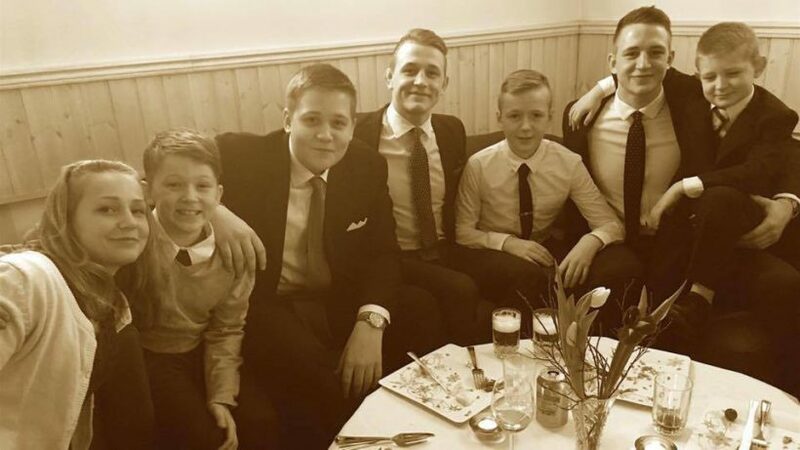 Olle and his friend would actually started with football in Älvsjö AIK, but his friend’s father had trained judo since he was young and thought the boys should try. Said and done. They were stuck after that. After a few times, we were curious to see the wonderfully knowledgeable and dedicated coach. Who was she? Encyclopedia gave the answer: It was a judoka who took a World Championship silver in 1984. Among the highest gain medals Sweden has taken internationally. And here she was, Bettan Karlsson. She taught new kids judo with great fervor and passion. We guessed that this sport was a little different than many others. And that was it, the whole family fell for this martial art without kicks and punches. A full contact sport with origins and traditions, who is also a Olympic Sport. The rest was, as they say, history. As judo parents of seven children practicing judo will be a lot of training to drive to, costumes to wash, deadlines to meet, friends to pick up, food shopping and trips to pay. A logistic adventure, even for the most experienced. But being involved in judo and our children’s sports has really given us as parents the advantage to be close to them while growing up, to share their ups and downs up close. To see all the siblings gathered around a common interest, regardless of age or skill level, to see them fighting with their development (at all levels), help each other, comfort each other when it goes bad and encourage each other when motivation is low – Things like that warms a parent’s heart. In this way, judo is a very nice and unifying activity among the family and siblings. It is by the ability to live as judo has taught us. A life’s manual A-Z without added shimmer, a handbook on how to handle ourselves in prosperity and adversity, in unexpected situations, to take quick and wise decisions, or less intelligent (like myself will work on to accept), find ways forward the industrious periods when everything seems to go against me, but also to enjoy prosperity when that comes. Judo like life goes up and down and the kids are getting their bumps as we as parents shared and helped them to put it all in a larger perspective. Most of what happens on the judo mat, around the club activities and judo is transferable to important lessons in how to tackle the continuing life. Sometimes it goes up, sometimes down, sometimes crying and sometimes irritated. Sometimes they want to stop, sometimes they can not get enough. How nice is it not to have a large family who share an interest and a desire to develop to reach as far you want or reach? A family that both support and challenge, in moderate doses? As siblings they’ve shared growing up with in many ways, a family that fuss and gets welded together, have had the opportunity to be themselves and examine in their own way. Because it is important to try out their wings and make their own choices, even though they are many siblings, belong to a club, a sport or a country. We all have different strengths and areas for improvement to contend with. But to experience it up close as a family helps children to strengthen their own self-esteem and trust in their own ability, a priceless treasure to carry through time of judo and through life. Meanwhile judo with its relatively clear grading curve is also a good way to measure their self improvement. When you graduate to a new colored belt, you get a proof of that you have been taken a small step forward. And given that it is a martial art, the injuries are still few. Well, certainly we have got the family’s fair share of broken toes and fingers, cauliflower ears, injured collarbones, knees and elbows. But that happens only when you get up in the juniorperiod. Most of it has been about the small things like nosebleeds, blemishes and bruises. Beats that you would rather take on the judo mat, where you voluntarily submit to them, than to encounter involuntary elsewhere. 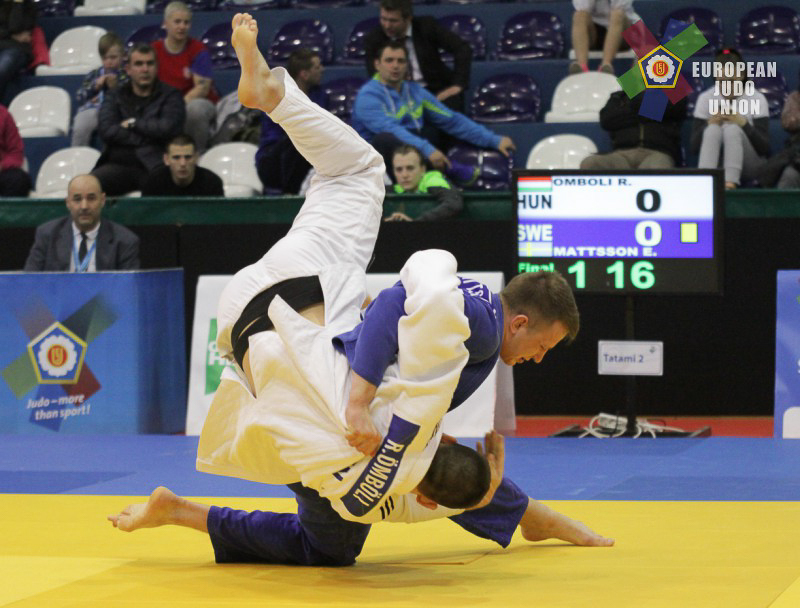 In this way, the judo sport is pretty amazing. Judo is a tough sport, both mentally and physically. But it is also a tough sport on the wallet, it’s not free. Well, not so expensive compared to hockey, skiing or riding. Maybe not the first ten years. But when the children began to come up a bit in age and competition level. And also began to travel to different dojos and sports facilities around Europe (and later the rest of the world). As their travel increased, expences increased rapidly and we had to be resourceful to make it come together. We as parents have taken on various projects. 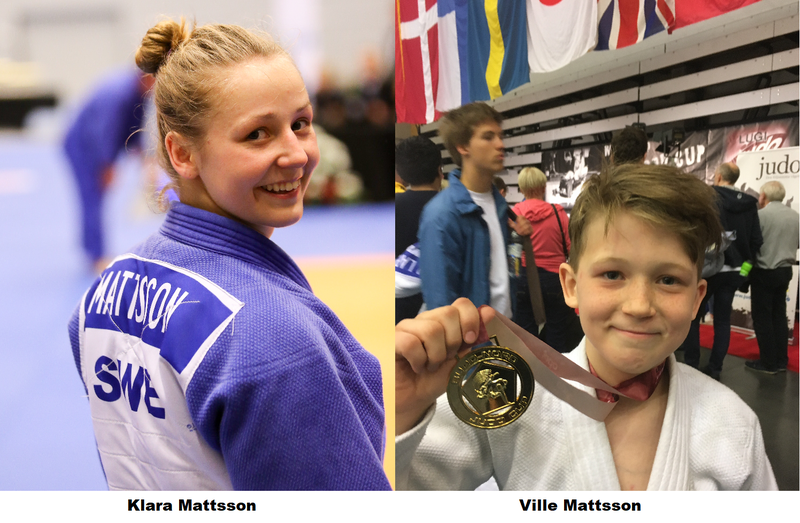 Taken extra work, we have been chasing sponsors, tried crowdfunding and selling t-shirts in the webshop on http://www.mattssonjudo.se And then the children’s money, extra incomes, student aid and scholarships go straight down into the judowallet. Sounds Crazy? Maybe, but its judo that they want to do right now. Therefore we save us from everything that is “unnecessary costs“. Anything to get the opportunity to let the children travel with their sport and their club mates. In all honesty, we can say that they all certainly are our children, but the 19-, 21- and 24-year-old is hardly described as a kids anymore. It may sound a little poorer life than many others, and sometimes it feels a bit sad not travel to a nice beach resort in the winter. The christmas presents and birthday presents are often judo related or that our family has never been to an exotic location such as Thailand. Where half Sweden’s population seems to spend their winters. But sailing in Stockholms archipelago is not bad either. And there are many fine sport halls all over Europe, placed in the oddest places. The children and we’ve got friends all over Sweden and other countries. Friendships that are not born unless we shared this great judo interests both across nationally and other clubs, which is fun. It turned out not least at the recent graduation party at the home of Mattson’s as guests from seven different judo clubs came. It is from our perspective as parents were simple choice to bet that we made. The children have chosen a sport that we could not do anything about 17 years ago, but which we think is still a fantastic sport. That judo has become the children’s interest, which we as parents just cheered on, might have contributed that the stayed in judo? In spite of some excursions to music, dance, floor hockey, soccer, horses, gymnastics, chess, table tennis, swimming, sailing.. judo have persisted. The profit is that the family can gather around an interest, to help each other, to share experiences and to really know where all the savings go, it is simply said much worth it. I believe that our children in the future will remember their childhoods in sport halls across the world with joy. Because they did it with their family. We as parents are enjoying every day of it. For a family that likes to hug, judo is truly a great sport. And we still hug Bettan Karlsson when we meet her. Now, often our kids is standing on the mat and instructing themselves or as assistant coaches. And they think it’s fun. Maybe, maybe some kids in Stockholm Judoclub some day feel a bit the same for anyone in the family Mattsson as we feel for Betty. That would be fun. Vad roligt att läsa om er och det stämmer ju; allt om judons förträfflighet på alla plan! Ni har satsat med hjärtat och det har blivit en framgångshistoria som fortgår i detta nu. Go Mattssons!